Sauyunan, a Sundanese word, means “working together for the same purpose.” This is the goal of Sauyunan Handicrafts, Indonesia. Multiple families create beautiful beaded items, thereby supporting themselves with their artistry. 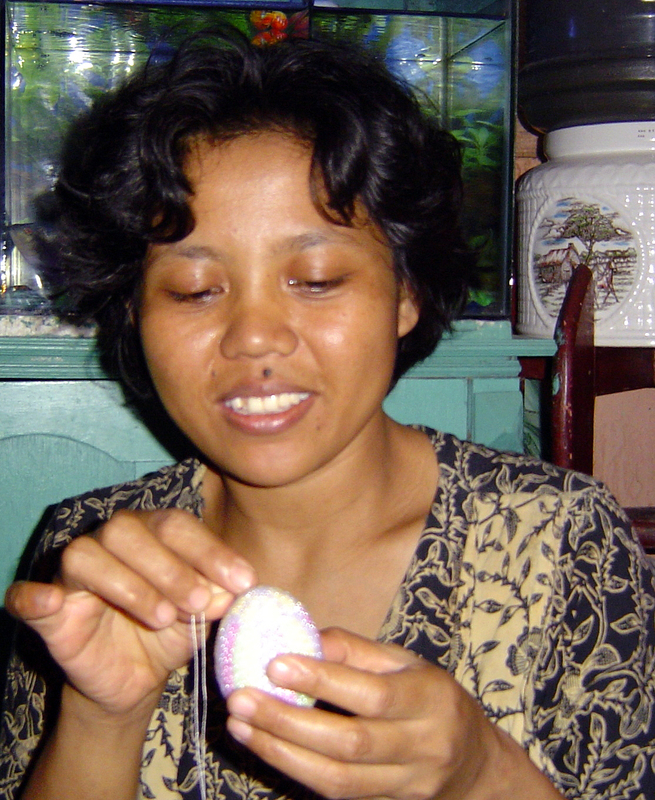 As artisans fasten each bead, they realize their once-hidden talents. Though they begin as needy men and women, small loans, design assistance, and help connecting with the right markets empowers the artisans. Individuals and families gain dignity—not handouts. They also receive opportunities to study prepared lessons on life skills and values that influence their present and provide hope for a shining future.